How to edit your new video easily and without spending much time studying complex programs? Most likely Movavi Video Editor is the tool you need. This is a brief overview of its features. Video Editor is available for Windows and Mac (unlike WeVideo, an online video editor, no download is necessary for it), and is designed for people who are not professional video editors. At the same time, you can use it to make blog videos (e.g. using Chromakey effect). 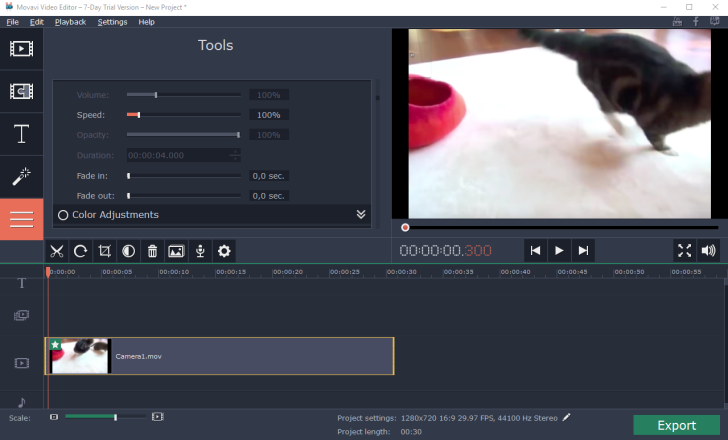 When you launch this video editor it greets you with a welcome window containing links to Video tutorial, User guide and Getting started to help you understand and master editing tools. 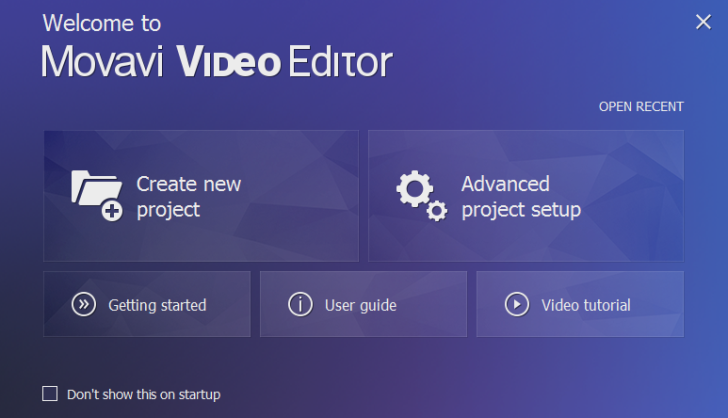 Main screen of video editor looks just like many other video editors. 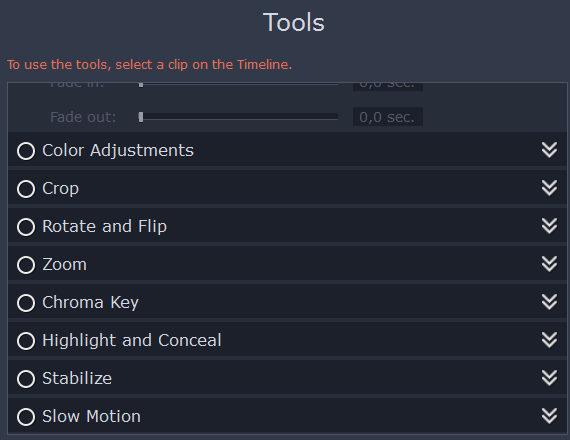 Video viewing area, tools and timeline (layout table). Working with video was not hard for me, I managed to grasp all editing tools without resorting to documentation. First you select a track from the timeline, then apply a tool or filter, and then check the result. To join videos together just put one video next to the other on the timeline. Now lets see the specific editing capabilities which Movavi Video Editor offers. ‘Tools’ panel contains tools to work with image. All available tools are presented on the screenshot below, so I think there is no need to list them. 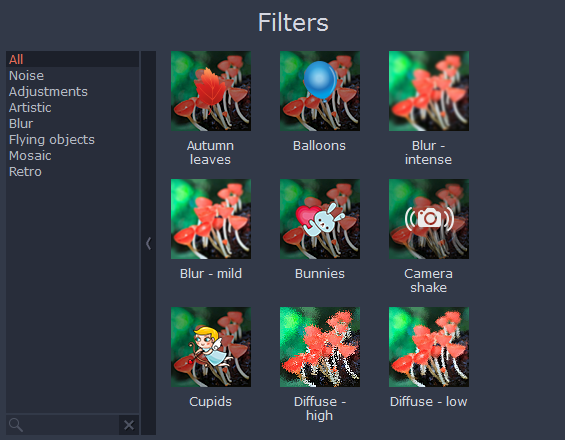 ‘Filters’ panel allows you to modify the image. Personally, I liked ‘Vintage b/w’, as it turns out very realistic. With the help of ‘Transitions’ panel you can add video transition effects between two joined clips, I believe many of you have seen how in long reviews one video is replaced with another. 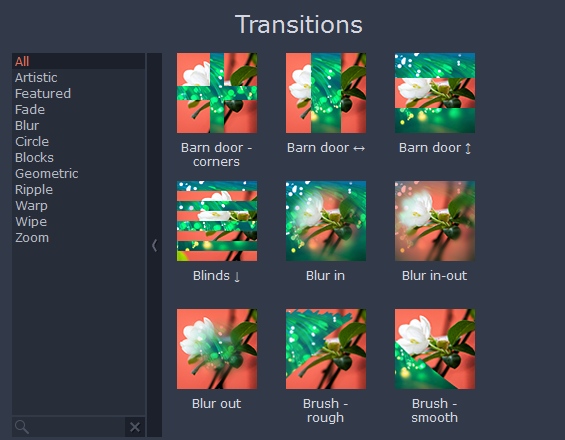 This is the tool for such transitions. You select the effect you need, drag it to the track and then join the next video. 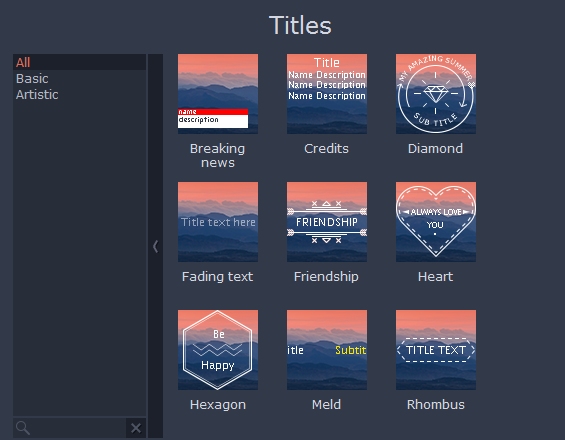 Using ‘Titles’ panel you can add titles at the beginning of your video. You can find many interesting titles in the library. Definitely a lot of space to experiment. 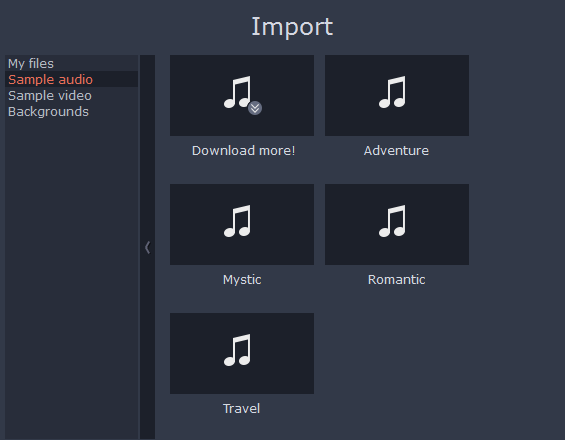 ‘Import’ panel is there to add video and audio files into the project. Video Editor already has a little library of audio files if you’d like to make a screencast or add a melody to your home video. A pleasant surprise for users of Movavi Video Editor – stock video footage which contains over 100,000 high-resolution videos. Using multimedia storage is not free, but you will be able to use video clips for commercial purpose too. The price of Video Editor is $39.95, plus there is a version for Mac. In my opinion Movavi is a great alternative to expensive and powerful video management utilities, and it contains most of the functions which ordinary users might need. On top of that, the fact that its interface is available in 10 languages also can be a great advantage.